I have yet to master the art of making a good cup of joe. When I make coffee, there’s a certain color I try to achieve; it’s pretty much the color of a Starbucks espresso. And so I mindlessly add cream and packets and packets of sugar until I get the right color, not necessarily the right taste. Adding sugar to coffee is probably one of the only times you can actually see how much sugar you’re consuming. Unless you’re a true baker (and don’t use store-bought cake mixes), you rarely get the sugar visual. Beware of added sugar’s multiple aliases: High fructose corn syrup, white sugar, brown sugar, corn syrup, corn syrup solids, raw sugar, malt syrup, maple syrup, pancake syrup, fructose sweetener, liquid fructose, honey, molasses, anhydrous dextrose, and crystal dextrose. 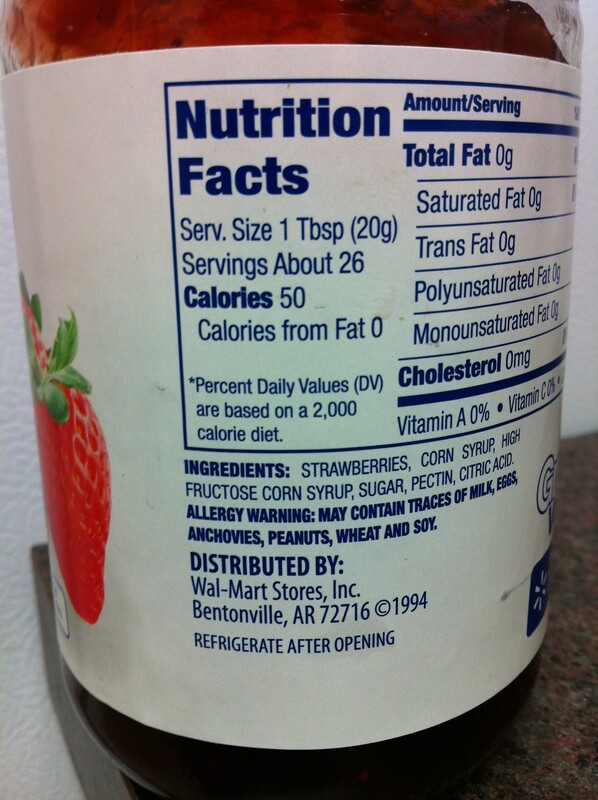 it only says sugar once, but corn syrup and high fructose corn syrup are also sugar! Try to cut back on these sweet treats and be mindful of what’s in the food you eat. Read the nutrition label and check the ingredients to see how much sugar is really in it. “Focus on eating the most nutrient-dense forms of foods from all food groups” (DGA). The next time you’re craving a slice of apple pie, have an apple instead.